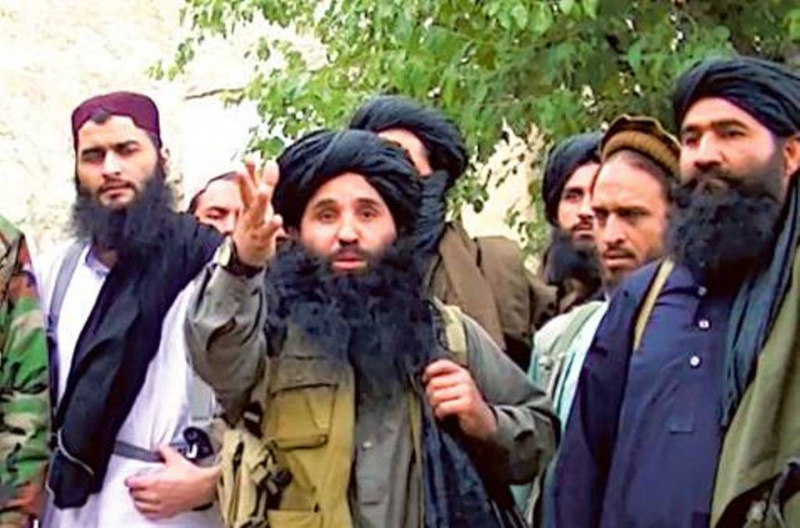 DERA ISMAIL KHAN, Pakistan (AP) — The spokesman for the Pakistani Taliban says the son of their chief, Mullah Fazlullah, was among 21 "holy warriors" killed this week when missiles fired by a U.S. drone struck a seminary in Afghanistan. Mohammad Khurasani, a spokesman for the Tehrik-e-Taliban Pakistan, in a statement Friday identified Fazlullah's son only as Abdullah. His confirmation came a day after officials said the drone targeted a compound, and Khurasani said those killed in the strike were seminary students. Khurasani had earlier said 21 students were killed in Wednesday's drone strike on the seminary near the Pakistan's Bajur tribal region, based on a tip from Pakistani intelligence. Khurasani warned that they will launch retaliatory attacks soon. Fazlullah is the leader of Pakistani Taliban and is believed to be hiding in Afghanistan.